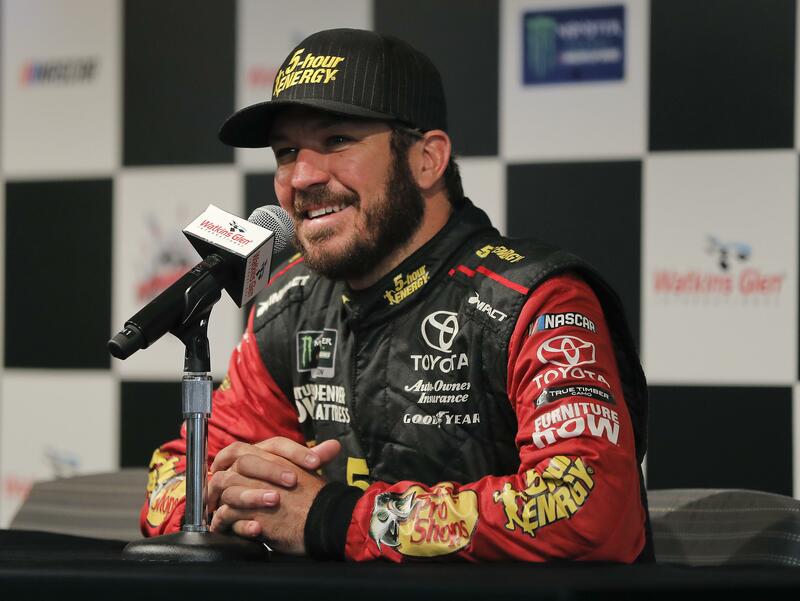 WATKINS GLEN, N.Y. – Martin Truex Jr. has a chance to join former NASCAR greats Jeff Gordon and Tony Stewart as kings of the roads. Truex is seeking his third consecutive victory on a road course in NASCAR’s stop Sunday at Watkins Glen. The 11-turn, 3.4-mile circuit joins Sonoma (California) Raceway as the only two true road courses on the Cup schedule. Truex won at Watkins Glen last summer, in California in June, and now is chasing Stewart and Gordon for the mark of three straight. The reigning Cup champion figures he’s successful on road courses because he enjoys the challenge of the rare right-hand turns. “It’s a unique set of circumstances. It’s an extra-special feeling to win on tracks that are completely different like this,” Truex said Saturday, insisting he could be going for four straight if not for an engine failure at Sonoma last year. His Furniture Row Racing No. 78 Toyota led 25 laps in that race before the engine blew. “I think we should have three in a row already with the trouble we had at Sonoma last year, but that’s kind of the way it goes in racing,” he added. Truex is part of the “Big 3” in NASCAR that is dominating the season. Truex, Kevin Harvick and Kyle Busch have combined to win 16 of the 21 Cup races. Truex has four victories, but three of those wins have come in the last eight outings. The Sonoma win was by a margin of over 10 seconds and was aided by crew chief Cole Pearn’s gamble to pit off-sequence from the rest of the leaders. Opportunities to win have been rare this season because of the Big 3 and Joey Logano doesn’t expect those drivers to give an inch Sunday on the high-speed road course. Busch, Harvick and Truex are the only active drivers in the Cup Series with previous wins at both Sonoma and Watkins Glen. Sunday will be a marathon for NASCAR and the teams because inspection this week was moved to prior to the race. At Pocono, a two-day “enhanced weekend” like Watkins Glen, the inspections were performed after Saturday qualifying and it took hours with several cars failing. Published: Aug. 4, 2018, 12:54 p.m. Updated: Aug. 4, 2018, 5:10 p.m.